On Friday, February 9th, we held our annual Sigma Nu Valentine’s Cocktail here at the house. The event was an undeniable success, filled with great music, dancing, and lively fun. We were able to get Liquid Pleasure to perform for the event, and were graced with one of the best live bands in the area. 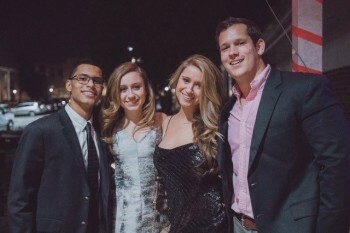 The band was stationed in the annex, giving the opportunity for brothers and their dates to dance and listen to the music while others could congregate and hang out in the chapter room. Overall, everyone had a great time at the cocktail, and it was a perfect time to show off the house and environment and that we embody as a chapter. Regarding the chapter’s social calendar, the remainder of February will be relatively quiet compared to the beginning of the month. Thursday, February 22nd, a quad mixer with Sigma Chi, Zeta Tau Alpha & Alpha Chi Omega will mark the last social event for the month.